Welcome everyone, to the Art of Conquest tips and tricks guide. This guide is designed to help you learn the basics of the game and further yourself with the mechanics. 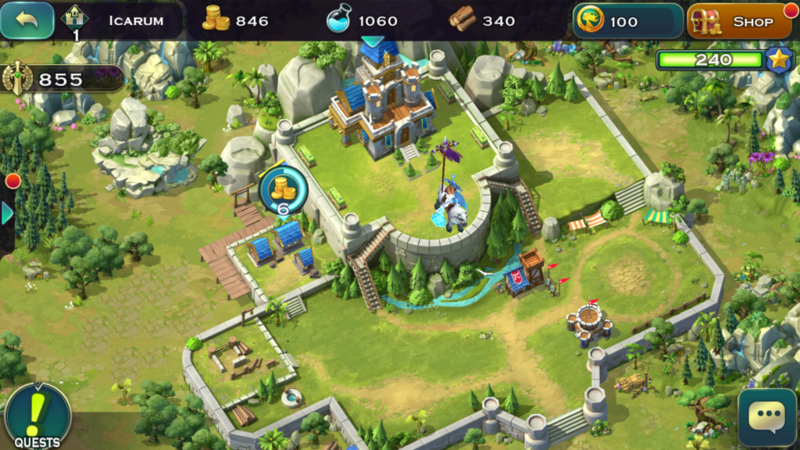 Art of Conquest is a strategy game mixed with a kingdom building simulator. 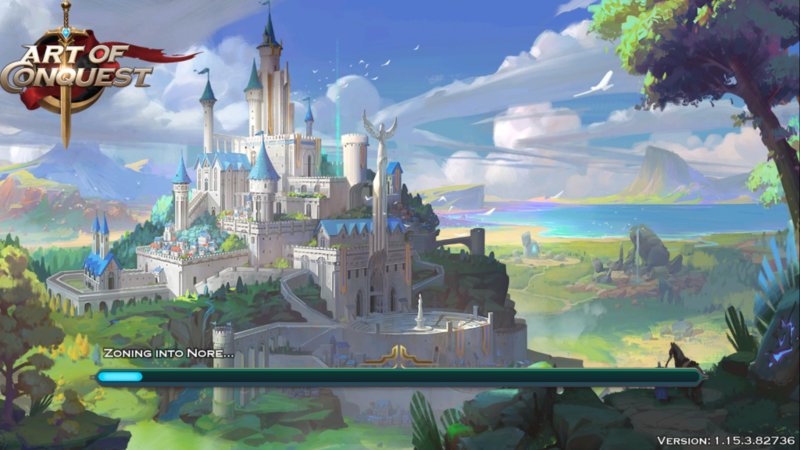 At the start of the game, you choose your kingdom and your first hero you get from a selection of 3 then you’re immediately thrown into a world with whatever character you chose at the beginning. The first area of the game is an open world map full of enemies and items. You move around the map by tapping the screen and your character moves to that location. By tapping an enemy you’ll encounter it and be able to start a battle. Battles in Art of Conquest involve placing units on your side of the field within the amount of space you have. At the start of the game you have a few units that fit easily into your space but as you progress, you’ll get bigger and more expensive ones. Once your units are set the battle begins in an auto attack function where your units fight the enemy. While your units fight you can use abilities from heroes you have on your side. Abilities are little cards at the bottom of the screen and can be extremely helpful in fights. Having at least 2 heroes in a battle is a good idea when you gain access to more. Gives more variety to the abilities and heroes are generally stronger all around. 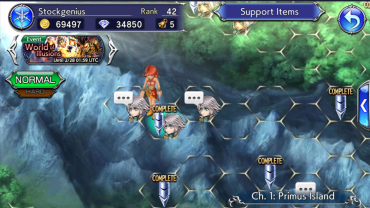 Outside of battle, you can progress through the map finding items, boosts, and even recruiting new units into your army. Once you make it through the first section of the map you’ll come across a large creature you have to battle. Defeat it and you’ll gain access to your castle. This is where the simulator stuff comes in, it’s very similar to some other games of this type. In your castle, you can build certain structures and buildings with it. Each piece you build has its own purpose and meaning. Fort’s allow you to train melee units, archery range lets you train ranged units, and so on. So building within your castle is a good idea to help increase the efficiency of your units. There are other buildings you can make that allow you to collect gold as they collect it over time. So building up everything you can in your castle is a good idea and something to do as soon as you’re given the option. Once you’ve got a hang of the castle mechanics you can go back out into the field and explore. You need gold to access foggy areas of the map so it’s always a good idea to have a nice reserve of it. The heroes in Art of Conquest are all different with their own stats, designs, and abilities. Each one of them feels unique and getting new ones gives the game a nice incentive to play through it. A big thing about heroes is that they can have their abilities upgraded to make them stronger giving them a better edge over normal units. This is where having at least 2 heroes out at the same time becomes a really good thing. With two heroes that have some of their abilities learned and upgraded you can do some real damage to enemy units. It’ll also make the early game a little bit easier if you upgrade the first ability of one of your heroes at the beginning. A big tip for Art of Conquest is paying attention to your unit space in battle. Having the biggest group of units isn’t always the best. As stated before it’s nice to have at least 2 heroes out at a time but aside from that you wanna make sure your side is balanced. Don’t fill it up with just spearmen and lancers cause they have good damage capabilities. If you have 2 heroes out build your units around what may support them best. It’s always good to have a ranged unit and melee units. 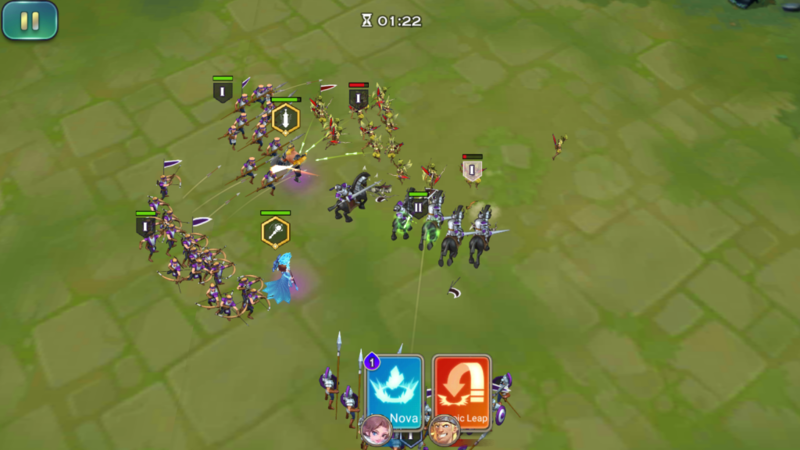 Always keep a balance in your army otherwise you can get backed into a corner in some of the later battles. And with how the unit cost system works you can be easily outnumbered if you place them wrong. Another tip and kind of an obvious one is to always make sure your units are upgraded. If you’re able to upgrade a unit then do it as soon as you can. The more upgraded you have the more efficient your army will be and the better chance at winning battles you’ll have. It’s all about management in Art of Conquest so never forget to manage your units and heroes properly and make sure they’re always prepared.